Lenovo recently started the sale of their new IdeaPad notebook, named Lenovo IdeaPad G560.The notebook has excellent features and has stylish design enables it to be suitable for both personal and professional day to day works. The all new Lenovo IdeaPad G560 comes equipped with a 15.6-inch LED-backlit display with resolution of 1366×768 pixels and is powered with the latest Core i3 mobile processors to be exact is a 2.13GHz Intel Core i3-330M processor.The Lenovo IdeaPad G560 also includes an Intel GMA HD graphics. The Lenovo IdeaPad G560 houses with 4GB of RAM and up to 320GB HDD runs at 5400rpm.The IdeaPad G560 also features dual-layer DVD writer, multi-format card reader, 2 megapixel webcam, Wi-Fi, two USB ports, one USB/eSATA, an Ethernet jack, D-Sub, ExpressCard slot, and HDMI output. The new Lenovo IdeaPad G560 comes pre-loaded with Windows 7 Home Premium 64-bit Operating system.The IdeaPad G560 also includes a 6-cell lithium-ion battery and comes with a price tag of $849. 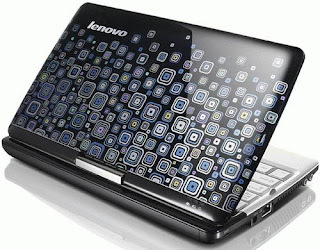 Tags:- 15.6 inch, Lenovo IdeaPad G560 laptop specifications, G560, IdeaPad G560, Intel Core i3, Laptop, lenovo, Lenovo 15.6-inch, Lenovo G560, Lenovo IdeaPad, Lenovo IdeaPad G560, Lenovo Intel Core i3, lenovo notebook, Notebook, Lenovo IdeaPad G560 laptop features, Lenovo IdeaPad G560 laptop price details. Recently more information about the all new BlackBerry Magnum smartphone, which is developed by Research In Motion (RIM).The new information reveals that the BlackBerry Magnum smartphone is devoid of trackball or optical joystick and the new BlackBerry smartphone comes equipped with touchscreen with HVGA resolution. The all new BlackBerry Magnum is powered with a 624MHz processor and houses facilities such as GPS, camera, a microSD card slot, 3.5mm audio jack, microUSB port, and Wi-Fi.The new BlackBerry Magnum smartphone supports GSM/GPRS/EDGE and UMTS/HSDPA networks. 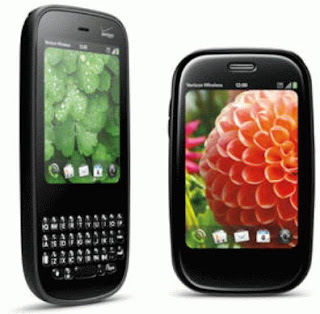 Tags: BlackBerry, BlackBerry Magnum, Magnum, Phone, QWERTY, RIM, Smartphone, Touchscreen, BlackBerry Magnum smartphone features, BlackBerry Magnum smartphone images, BlackBerry Magnum smartphone specifications. MSI started the sale of their new Wind U135 netbook in US market.The MSI Wind U135 netbook is the first Wind model to come up with Intel’s Pine Trail Platform.MSI also reveals that the new Pine Trail Platform provides performance improvement to the notebook and also increases a 15% increase in the battery life from the previous one. MSI Wind U135 netbook equips a 10-inch display with LED-backlit and a resolution of 1024×600 pixels and is powered with a 1.66GHz Intel Atom N450 processor.The new MSI Wind U135 netbook also includes a NM10 Express chipset and an Intel GMA 3150 graphics card. 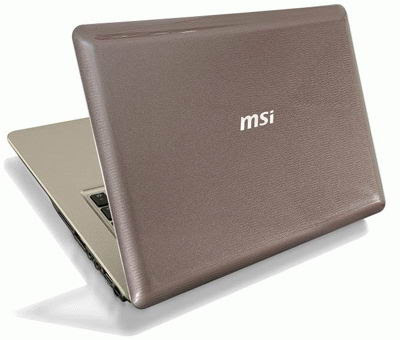 The all new MSI Wind U135 netbook also comes housed with a 250GB hard drive, 1.3 megapixel web camera, card reader (SD/MMC/MS/MS Pro), Wi-Fi 802.11 b/g/n, and Bluetooth and WiMAX module as optional.The notebook includes a a 6-cell battery. 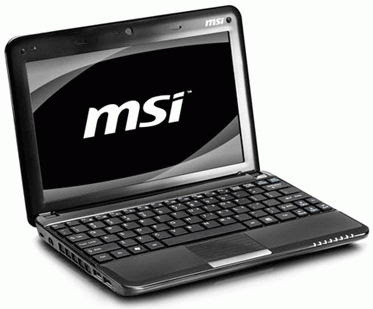 The MSI Wind U135 netbook comes pre-installed Windows 7 Starter OS. 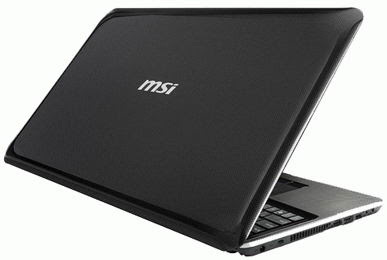 MSI Wind U135 netbook now available with a price tag that ranges between $309.99 - $329.99. Tags: -10-inch, Intel Pine Trail, MSI, MSI Intel Pine Trail netbook, MSI Wind, MSI Wind U135, netbook, U135, US market, Wind U135, MSI Wind U135 netbook price details, MSI Wind U135 netbook colors available, MSI Wind U135 netbook detailed price, MSI Wind U135 netbook specifications. Dell recently decided to provide discount for its all new Dell Adamo notebook in Aspire model.The discount make the Adamo Notebook to be made available for under $1000.Dell provides about $500 discount for its Adamo Notebook made the price of the laptops starts from $999 onwards. 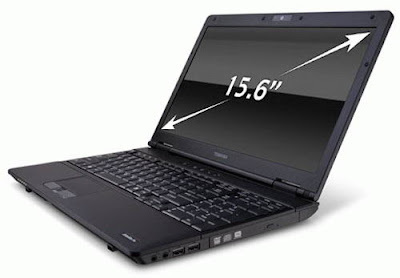 The $1000 Dell Adamo Notebook equipped with 13.4-inch display and is powered with a 1.4GHz Intel Core 2 Duo processor.The notebook also features 2GB of DDR3 RAM, a 128GB SSD, a GMA 4500 graphics adapter, 1.3-megapixel webcam, Ethernet, Wi-Fi, and Bluetooth.Dell Adamo Notebook also comes pre-loaded with Windows 7 Home Premium 64-bit Operating system. Top model version, Dell Adamo Desire price also decreases to $1800 from the previous price tag of $2300.The Dell Adamo Desire features 2.1GHz Intel Core 2 Duo processor, 4GB RAM, 3G modem, and a 256GB solid state drive. Garmin ASUS recently started taking pre-orders for its newly introduced smartphone, named Garmin ASUS Nuvifone M10.Recent news reveals that the shipping of the all new Garmin-ASUS Nuvifone M10 phone starts from February 6th onwards. THe all new Garmin-ASUS Nuvifone M10 phone comes equipped with a 3.5-inch display with a resolution of 800×480 pixels.The new Nuvifone M10 phone runs on Windows Mobile 6.5.3 and is built on 600MHz Qualcomm processor. Nuvifone M10 phone from Garmin-ASUS comes housed with 512 MB of RAM, 512 of ROM, and expandable microSDHC card slot provides expandable up to 32GB, Wi-Fi, Bluetooth, 5MP camera, GPS, and a 1500mAh battery. 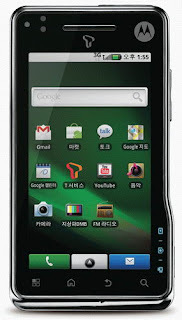 New Garmin ASUS Nuvifone M10 phone supports networks including HSDPA/WCDMA 900/2100 , GSM 900/1800/1900. The new handset weighs 140g and its dimensions are 116×58x14.3 mm.The new Garmin-ASUS Nuvifone M10 phone is expected to be available from February 6th with a price tag worth $450. Tags:-ASUS, February 6th, Garmin, Garmin-ASUS, Garmin-ASUS M10, Garmin-ASUS Nuvifone, Garmin-ASUS Nuvifone M10, Garmin-ASUS phone, M10, MWC, MWC 2010, Nuvifone M10, Phone, Garmin-ASUS Nuvifone M10 phone price details, Garmin-ASUS Nuvifone M10 phone features, Garmin-ASUS Nuvifone M10 phone availability, Garmin-ASUS Nuvifone M10 phone launch details, Garmin-ASUS Nuvifone M10 phone details. 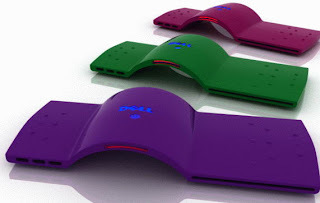 Famous industrial designer,Paulina Carlos recently introduced the future computer concept, named Dell Froot.The Dell Froot desktop is totally different from conventional desktops in both shape and size.The Dell Froot desktop doesnt have a system unit,a keyboard or even a monitor. The new Dell Froot desktop uses a laser keyboard and for display it uses screen projection technology. 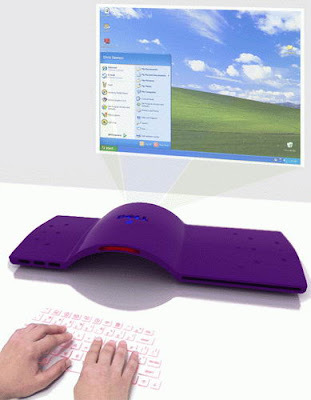 Actually Dell Froot desktop is a small device that includes two built-in projectors, one for display and other for creating a virtual keyboard.The keyboard is projected on to the table and the display screen is actually the wall to which the system faces. Dell Froot looks similar to a small panel with a convex rounded central part.The DVD drive is a slot-loading optical drive placed at right side along with ports.Dell Froot is expected to be offered in bright colors. Tags:-Dell Froot desktop details, Dell Froot desktop features, Dell Froot desktop images,future computer concept from DEll, Dell future computer concept, Paulina Carlos, Dell Froot future desktop. ViewSonic on its way to introduced a new Android Tablet, named ViewSonic VTablet 101.The new ViewSonic VTablet 101 is mainly intended for those who works online, considered as an internet tablet. The all new ViewSonic VTablet 101 Android Tablet comes equipped with an 8.9-inch touchscreen display that supports 1024×800 pixels.The VTablet 101 is powered with 1GHz ARM Cortex A9 ULV processor and also comes with nVidia Tegra Graphics.The new Android Tablet from ViewSonic also houses 4GB of flash memory, Bluetooth, Wi-Fi, and also equips a 3G module. 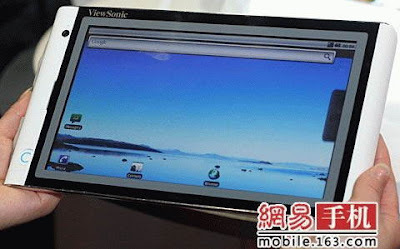 ViewSonic VTablet 101 tablet runs on a Google Android OS.The new ViewSonic VTablet 101 tablet is expected to come up with a price tag of about $440 (3,000 Yuan). Tags:-Android Tablet, Internet, ViewSonic, ViewSonic Android, ViewSonic tablet, ViewSonic VTablet 101, VTablet 101, Android Tablet from ViewSonic, ViewSonic VTablet 101 price details, ViewSonic VTablet 101 features, ViewSonic VTablet 101 specifications, ViewSonic VTablet 101 launch details, ViewSonic VTablet 101 availability, ViewSonic VTablet 101 configuration. Toshiba recently announced the introduction of its new business-oriented laptop, called Toshiba Tecra A11.The all new Toshiba Tecra A11 come pre-installed with Windows XP Professional SP3 32-bit and is available in Charcoal Black shade. The all new Toshiba Tecra A11 notebook comes equipped with 15.6-inch widescreen display with LED backlight and is powered with Intel Core i3-330M/i5-430M/i5-520M processor.The Toshiba Tecra A11 notebook also comes housed with 2/3/4GB of DDR3 memory at 166 MHz, a 250/320GB hard drive (7200 rpm), an integrated video card or nVidia NVS 2100M discrete graphics card. 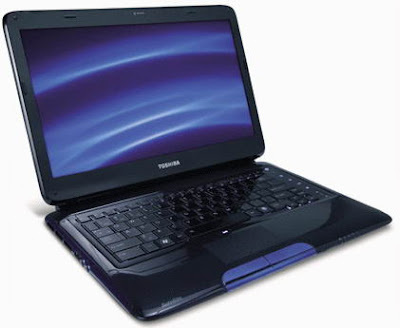 The Toshiba Tecra A11 notebook also includes a DVD writer, an eSATA connector and a USB port with the ability to charge peripheral devices, even when the laptop is in sleep mode. The notebook also added with a built-in webcam and Mini Display Port. The all new Toshiba Tecra A11 comes with a price tag that starts from $880. Tags:-Toshiba Tecra A11 notebook details, Toshiba Tecra A11 notebook price, Toshiba Tecra A11 notebook availability, Toshiba Tecra A11 notebook launch details, Toshiba Tecra A11 notebook price details, Toshiba Tecra A11 notebook price, Toshiba Tecra A11 notebook configuration, Toshiba Tecra A11 notebook specifications. Toshiba recently updated its business-oriented laptop by introducing the all new Toshiba Qosmio X500 notebook.The all new Toshiba Qosmio X500 notebook comes equipped with an 18.4-inch display and is powered with Intel Core i5/i7 processor. The new Toshiba Qosmio X500 notebook housed with either a GeForce GTS 250M or GTS 360M graphics card and features up to 6GB of RAM, and up to 564GB of storage with 64GB SSD and 500GB HDD, a DVD or Blu-ray drive.The Toshiba Qosmio X500 laptop comes with a price tag that starts from $1,549. Tags:-Toshiba Qosmio X500 notebook, Toshiba Qosmio X500 notebook features, Toshiba Qosmio X500 notebook price, Toshiba Qosmio X500 notebook price tag, Toshiba Qosmio X500 notebook availability, Toshiba Qosmio X500 notebook launch details, Toshiba Qosmio X500 notebook price details, Toshiba Qosmio X500 notebook configuration, Toshiba Qosmio X500 notebook specifications. Acer recently expanded its “green” TimeLine notebooks by introducing two new notebooks, named Acer Aspire 3811TZ and Acer Aspire 3811TZG.Acer revealed that the new laptops is made free from polyvinyl chloride (PVC) and brominated flame retardants (BFR) and the new Acer Green Notebooks is made from recyclable. THe all new Acer Aspire Green 3811TZ/TZG notebook comes equipped with 13.3-inch LED backlight LCD display with 1366×768 resolution and uses about 40% less energy consumption compared to other notebooks.The new Acer Aspire Green notebooks is boasts with Intel Core 2 Duo ULV processor. 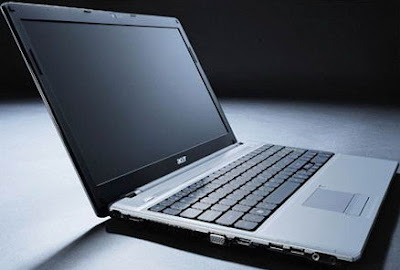 Acer Aspire 3811TZ and Aspire 3811TZG Green Notebooks are yet to revealed.. 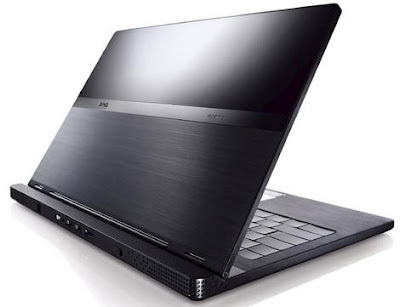 Tags:-Green Notebooks, ACER Green Notebooks, Green Notebooks from Acer,Acer Aspire green laptops, Acer green netbooks, Green Notebooks from acer details, Eco friendly notebooks, Eco friendly notebooks from acer, acer Eco friendly notebooks details, Eco friendly notebooks from acer specifications. Lenovo recently introduced the details of their new upcoming multimedia notebooks, named Lenovo IdeaPad Y460 and IdeaPad Y560.Both Lenovo IdeaPad Y460 and IdeaPad Y560 laptops comes included with built-in 2x 2W JBL stereo speakers with Dolby Home Theater.The new multimedia notebooks from Lenovo boasts with Intel's Latest processors. The all new Lenovo IdeaPad Y460 equipped with a 14-inch notebook and is powered with either Intel Core i5 or Core i3 processor.The Lenovo IdeaPad Y460 includes ATI Radeon HD5740/HD5650 graphics and features up to 8GB of RAM and up to 320GB hard drive. The new Lenovo IdeaPad Y560 notebook comes housed with a 15.6-inch display and it boasts an Intel Core i7 processor.The IdeaPad Y560 notebook version includes an ATI Radeon HD5730 graphics card with 1GB of VRAM and has supports up to 8GB of RAM and up to 500GB hard drive. Both Lenovo IdeaPad Y460 and IdeaPad Y560 laptops comes housed with DVD burner or Blu-ray drive, 6-in-1 card reader, HDMI port, eSATA/USB combo port, 1.3 Megapixel webcam, Wi-Fi 802.11b/g/n, and optionally Bluetooth.The all new Lenovo IdeaPad Y460 and Y560 multimedia notebooks will be available for sales from early March onwards. Lenovo recently introduced its all new convertible tablet, named IdeaPad S10-3t.The new IdeaPad S10-3t convertible tablet now available for pre-order at Lenovo’s online shop with two processor configuration options.The two available processor options includes the 1.66GHz Intel Atom N450 and 1.83GHz Intel Atom N470 processor. The all new Lenovo IdeaPad S10-3t convertible tablet comes equipped with a 10.1-inch LED-backlit multi-touch display with 1024×600 resolution.The N450 powered processor configuration laptops included with 2GB RAM and 160GB Hard disk.The N470 powered processor configuration comes included 1GB RAM, 250GB hard drive along with GMA 3150 graphics. 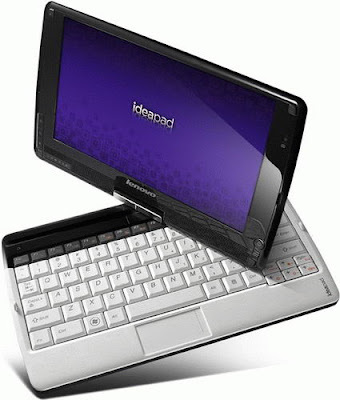 Lenovo IdeaPad S10-3t convertible tablet netbook also housed with a 10/100 LAN, Wi-Fi, Bluetooth 2.1 only with N470 configuration, and a 4-cell Lithium-Ion battery.The N470-powered Lenovo IdeaPad S10-3t runs on Windows 7 Home Premium 32bit Operating system and has a price tag of $649. The N450-powered Lenovo IdeaPad S10-3t is available with a price tag of $549. Tags:-Lenovo IdeaPad S10-3t convertible tablet pre-order, Lenovo IdeaPad S10-3t convertible tablet features, Lenovo IdeaPad S10-3t convertible tablet details, Lenovo IdeaPad S10-3t convertible tablet specifications, Lenovo IdeaPad S10-3t convertible tablet price, Lenovo IdeaPad S10-3t convertible tablet price details, Lenovo IdeaPad S10-3t convertible tablet configuration, Lenovo IdeaPad S10-3t convertible tablet processors. Packard Bell has officially announced the introduction of its new Intel Pine Trail based notebook, named Packard Bell dot s2.The new Packard Bell dot s2 netbook comes pre-loaded with with Windows 7 Starter or Windows XP and Adobe Photoshop Elements software. 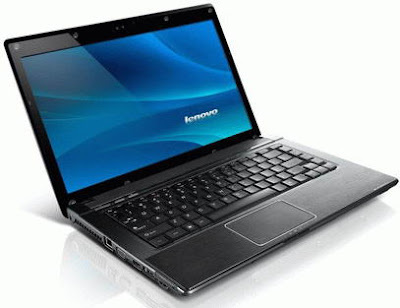 The all new Packard Bell dot s2 Pine Trail netbook comes equipped with 10.1-inch LED backlit display with resolution of 1024×600 pixel and is powered with powered by a 1.66GHz Intel Atom N450 processor.The dot s2 notebook from Packard Bell also includes a GMA 3150 integrated graphics and comes housed with 1GB of RAM, a 250GB hard drive, a multi-gesture touchpad, a 5-in-1 card reader, a webcam, 10/100 Ethernet, Wi-Fi, Bluetooth and optional 3G modem. 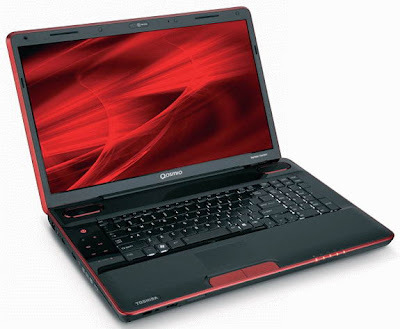 Packard Bell dot s2 Pine Trail netbook is expected to hit UK market end this month with a price tag of £299.99. Tags:-Packard Bell dot s2 Pine Trail netbook features, Packard Bell dot s2 Pine Trail netbook details, Packard Bell dot s2 Pine Trail netbook availability, Packard Bell dot s2 Pine Trail netbook price details, Packard Bell dot s2 Pine Trail netbook shades, Packard Bell dot s2 Pine Trail netbook color options, v availability, Packard Bell dot s2 Pine Trail netbook launch details, Packard Bell dot s2 Pine Trail netbook price details. 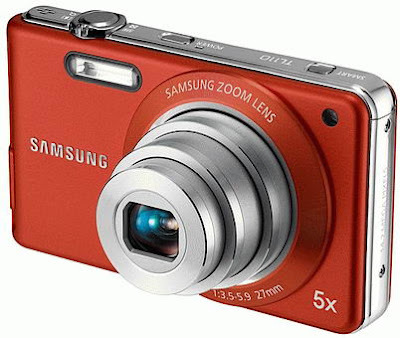 Samsung recently introduced its new ultra slim digital cameras,named Samsung TL110 and Samsung TL105. Both cameras comes with stylish Ultra Slim design and excellent features makes its better choice for capturing your special moments. Both Samsung TL110 and TL105 comes equipped with a 2.7-inch LCD display.The new Samsung TL110 camera comes featured with 14.2MP sensor, 5x optical zoom, 27mm wide-angle lens, and Dual Image Stabilization (IS).The new Samsung TL105 camera is featured with a 12.2MP sensor, 4x optical zoom, 27.5mm wide-angle lens, and Image Stabilization (IS). The two new Samsung Ultra Slim Cameras is also capable of recording videos of 720p resolution at 30fps using H.264 compression.Both Samsung TL110 and TL105 ultra slim digital camera featured with long list of user-selectable Photo Styles and special image effects such as Fisheye and Lomo. HP recently released its TouchSmart tm2 series convertible tablet notebook, known as HP TouchSmart tm2t.Hp announced that the new HP TouchSmart tm2t tablet PC is the world’s first multi-touch consumer tablet PC.The laptop is shaded with aluminum in argento blush finish. The all new HP TouchSmart tm2t notebook comes equipped with a 12.1-inch LED-backlight capacitive touchscreen display with 1280×800p resolution and is powered with Intel Core 2 Duo SU7300/SU9600 CULV processor.The laptop includes either integrated Intel GMA 4500MHD or ATI Mobilty Radeon HD4550 with 512MB of VRAM graphics card. HP TouchSmart tm2t convertible tablet notebook supports up to 8GB of DDR3 RAM and features up to 500GB hard drive 7200rpm, 8X DVD SuperMulti burner, built-in Altec Lansing stereo speakers, webcam, a 5-in-1 card reader, HDMI 1.3b port, optional fingerprint scanner, a full-size island-style keyboard, and Wi-Fi support. 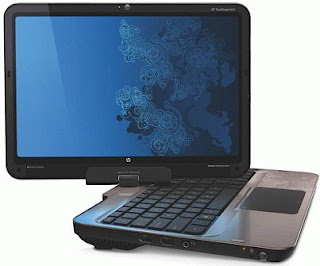 New HP TouchSmart tm2t laptop weighs 4.72lbs and its dimensions are 11.9×8.7×1.03/1.55 inches (LxWxH).The HP TouchSmart tm2t laptop comes with a price tag of $949.99. Tags:- HP TouchSmart tm2t laptop, HP TouchSmart tm2t laptop features, HP TouchSmart tm2t laptop price details, HP TouchSmart tm2t laptop launch details, HP TouchSmart tm2t laptop availability, HP TouchSmart tm2t laptop configuration, HP TouchSmart tm2t laptop price details. After the introduction of MSI X-Slim X420, MSI officially announced the introduction of their new X-Slim notebook, named MSI X-Slim X620.As in the case of MSI X-Slim X420 the new MSI X-Slim X620 also comes included with two graphics cards.ATI Mobility Radeon HD 5430 with 1GB of RAM DDR3 designed to be used in “productive” mode and the integrated Intel Graphics is used in the “economical” mode of power consumption. The all new MSI X-Slim X620 laptop comes equipped with 15.6-inch HD (Glare type) display with resolution of 1366×768 pixels and is powered with Intel CULV processor includes an Intel Core 2 Duo (SU7300 and SU4100).The new laptop includes Intel GS45+ICH9M-SFF chipset. The MSI X-Slim X620 notebook includes a 250GB/320GB/500 GB hard drive and housed with 1.3MP web camera, Wi-Fi 802.11 b/g/draft-n, a 2-in-1 card reader (SDHC/MMC), two speakers, a DVD Super Multi, Bluetooth v2.1, HDMI, D-Sub, RJ45, eSATA/USB, and two USB 2.0 ports.The new MSI X-Slim X620 notebook dual graphics laptops comes with an 8-cell battery provides up to 11 hours battery life. The notebook weighs 2.41 kg and its dimensions are 392×255x36.3 mm. Tags:-MSI X-Slim X620 dual graphics laptop features, MSI X-Slim X620 dual graphics laptop colors, MSI X-Slim X620 dual graphics laptop shades, MSI X-Slim X620 dual graphics laptop configuraton, MSI X-Slim X620 dual graphics laptop features, MSI X-Slim X620 dual graphics laptop specifications, MSI dual graphics card laptops. Sony Corporation recently announced the introduction of new Z series notebooks, named Sony VAIO VPCZ11Z9E and Sony VAIO VPCZ11X9E.The new Sony VAIO Z notebook features integrated ambient light sensor detects that helps in automatically adjusts the brightness on keyboard backlighting for accurate typing while dimming screen illumination to save power. The all New Sony VAIO Z notebook has features a 13.1-inch LED-backlit display with a Full HD resolution of 1920×1080 pixels and is powered with a 2.66GHz Intel Core i7-620M processor and support of Turbo Boost technology.The new Sony VAIO Z notebook also includes a discrete NVIDIA GeForce GT 330M GPU with 1GB GDDR3 VRAM. The Sony VAIO Z notebook allows file access with innovative Quad SSD in Raid 0 which helps in increasing the performance by 6.2 times higher when compared to traditional hard drive with 5400 rpm.Sony VAIO Z notebook supports up to 6GB of RAM and comes housed with DVD writer, Wi-Fi 802.11a/b/g/n, Bluetooth 2.1+EDR, a webcam, HDMI, sensor for fingerprints and VAIO Everywair 3G mobile broadband as optional. 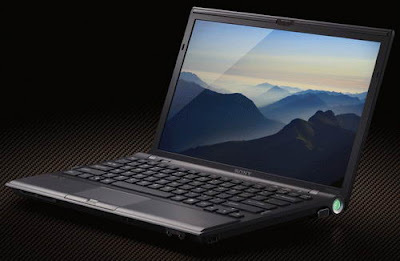 New Sony VAIO Z notebook comes pre-loaded with Windows 7 Professional.The notebook weighs 1.43 kg and its dimensions are 314×210x23.8-32.7 mm.The all new Sony VAIO Z notebook is expected to be available by March 2010. 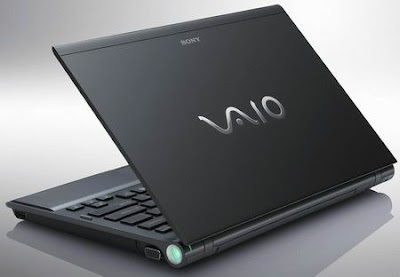 Tags:-Sony VAIO Z notebook details, Sony VAIO Z notebook availability, Sony VAIO Z notebook launch details, Sony VAIO Z notebook features, Sony VAIO Z notebook specifications, Sony VAIO Z notebook launch details, Sony VAIO Z notebook configuration, Sony VAIO Z notebook review, Sony VAIO Z notebook preview, Sony VAIO Z notebook images, Sony VAIO Z notebook launch details. Lenovo recently introduced its ne IdeaPad notebooks, named the Lenovo IdeaPad G460 and G560.The two Lenovo IdeaPad G460 and Lenovo IdeaPad G560 boasts with new Intel Core processor and includes an integrated HD graphics.The notebooks also features Intel Turbo Boost technology. The new Lenovo IdeaPad G460 notebook comes equipped with a 14-inch widescreen LED-backlit display where as Lenovo IdeaPad G560 notebook included a 15.6-inch widescreen High-Def LED backlight display.Both the Lenovo IdeaPad G460 and G560 notebooks supports up to 8GB of DDR3 memory and includes up to 500GB hard drive, and HDMI connectors. 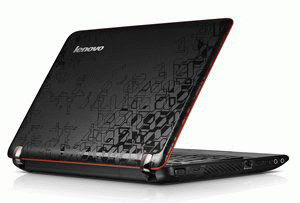 The new Lenovo IdeaPad G460 and G560 notebooks comes with a price tag that starts from $699.99. 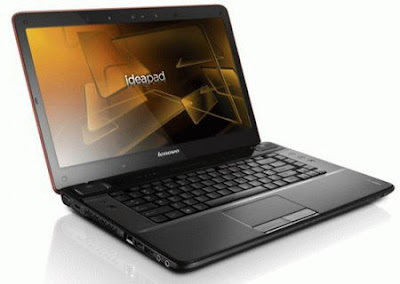 Tags:- Lenovo IdeaPad G460 and G560 notebooks,Lenovo IdeaPad G460 and G560 notebooks features, Lenovo IdeaPad G460 and G560 notebooks price details, Lenovo IdeaPad G460 and G560 notebooks availability, Lenovo IdeaPad G460 and G560 notebooks configuration. Toshiba recently started the shipping of their all new Toshiba Satellite E205 Laptops.The new Toshiba Satellite E205 Laptop comes featured with Intel Wireless Display technology.Wireless Display System (or WiDi) was first demonstrated at the CES 2010 in Las Vegas (Nevada, USA). Wireless Display System (or WiDi) helps in the transfer of images from computer/notebook to any HDTV via a wireless connection.For this a small device is to be connected directly to TV. The all new Toshiba Satellite E205 notebook comes equipped with a 14-inch LED display with resolution of 1366×768 pixels and is powered with a 2.53GHz Intel Core i5-430M processor and support Turbo Boost.The Toshiba Satellite E205 notebook comes included with up to 4GB of DDR3 RAM, 500GB hard drive,a multi-format DVD writer, Wi-Fi 802.11a/b/g/n, Bluetooth, illuminated keyboard and a card reader. 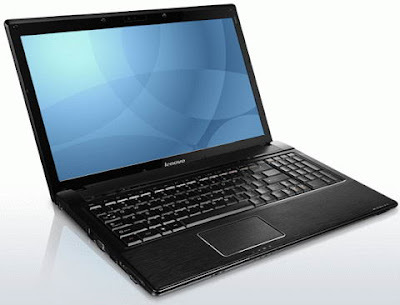 Toshiba Satellite E205 laptop comes pre-loaded Windows 7 Home Premium 64-bit OS. The Toshiba Satellite E205 laptop package comes included with Netgear Push2TV adapter that receive the TV signal and is available through Best Buy.The all new Toshiba Satellite E205 Wireless Display Laptop come with an estimated price tag of $900. Tags-Wireless Display Laptop ,Wireless Display Laptop from Toshiba, Toshiba Wireless Display Laptop,Netgear Push2TV adapter, Toshiba Satellite E205 Laptop, Toshiba Satellite E205 Laptop price details, Toshiba Satellite E205 Laptop availability, Toshiba Satellite E205 Laptop specifications, Toshiba Satellite E205 Laptop features, Toshiba Satellite E205 Laptop price, Toshiba Satellite E205 Laptop detailed price, Toshiba Satellite E205 notebook details. MSI recently expanded its ultra-thin X-Slim series notebook by introducing the all new MSI X-Slim X420 notebook.The main notable features of the new MSI X-Slim X420 laptop is the dual graphics implementation ie the notebook comes with an external Graphics card along with the integrated one. Another feature of MSI X-Slim X420 laptop is the implementation of MSI ECO Engine technology for providing optimal power consumption on battery power.The laptop has five modes of power options includes gaming, watching video, viewing presentations, office and productivity.The “productive” and “economical” mode is an option 3D Boost, through which can activate the integrated or discrete graphics adapter. And just press 3D Boost button, MSI X-Slim X420 will automatically switch to high-performance external display mode. The all new MSI X-Slim X420 notebook comes equipped with a 14-inch HD Glare type display with resolution of 1366×768 pixels and is based on Intel CULV platform, that includes an Intel Core 2 Duo (SU7300 and SU4100) processor, as well as the Intel GS45 + ICH9M-SFF chipset.Considering Graphics availability as already mentioned the notebook includes an integrated Intel GMA 4500MHD and ATI Mobility Radeon HD 5430 with 1GB of DDR3 VRAM. MSI X-Slim X420 laptop comes housed with DDR3 RAM module with 1066MHz or 800MHz, hard drive options includes 250GB/320GB/500GB, two speakers, 1.3 megapixel web camera, Wi-Fi (Intel Shirley Peak), 2-in-1 card reader (SD/MMC), Bluetooth 2.1, HDMI, D-Sub, RJ45 and eSATA/USB and two USB 2.0 ports. MSI X-Slim X420 dual graphics laptop includes either a 4-cell or 8-cell battery that provides almost 9 hours battery life.The X-Slim X420 laptop weighs 1.88 kg and its dimensions are 350×234x24.1 mm.The new MSI X-Slim X420 laptop is available in translucent Cappuccino Brown color option. Tags:-MSI ECO Engine technology laptop,MSI X-Slim X420 dual graphics laptop features, MSI X-Slim X420 dual graphics laptop colors, MSI X-Slim X420 dual graphics laptop shades, MSI X-Slim X420 dual graphics laptop configuraton, MSI X-Slim X420 dual graphics laptop features, MSI X-Slim X420 dual graphics laptop specifications, MSI dual graphics card laptops. Fujitsu has recently upgraded its netbook by introducing Intel Pine Trail platform to the Fujitsu LOOX M netbook.The Fujitsu LOOX M netbook released last year in japanese market with an Intel Atom N270 processor.The new upgraded version of Fujitsu LOOX M netbook with Pine Trail platform will come to sales in Japanese market by end of this month. The all new Fujitsu LOOX M netbook comes equipped with a 10.1-inch display with 1366×768 resolution and is powered with a 1.66GHz Intel Atom N450 processor and includes a GMA 3150 graphics card.The notebook also housed with 1GB of RAM, 250GB hard drive,10/100 LAN, Wi-Fi, Bluetooth 2.1 and optional WiMAX module. 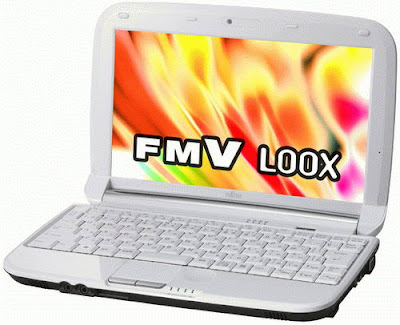 New Fujitsu LOOX M netbook runs on Windows 7 Starter Operating system.The laptop battery provides 5 hours of battery life.The New Fujitsu LOOX M netbook will available for sales in Japanese market sooner with a price tag of about $600. Tags:-Pine Trail notebook from Fujitsu, Fujitsu Pine Trail netbook, Fujitsu LOOX M netbook with Pine Trail, Fujitsu LOOX M netbook with Pine Trail price details, Fujitsu LOOX M netbook with Pine Trail price details availability, Fujitsu LOOX M netbook with Pine Trail launch details, Fujitsu LOOX M netbook with Pine Trail price, Fujitsu LOOX M netbook with Pine Trail specifications, Fujitsu LOOX M netbook with Pine Trail configuration. Hewlett Packard recently introduced a new convertible tablet notebook which is now available for pre-order, named as HP TouchSmart tm2 tablet notebook.Its expected that the shipping of all new HP TouchSmart tm2 tablet starts from January 27th onwards. The all new HP TouchSmart tm2 comes equipped with 12.1-inch WXGA touchscreen display with LED backlight and multitouch support.The TouchSmart tm2 tablet si powered with Intel Core 2 Duo (SU7300 or SU9600) CPU and includes Mobility Radeon HD 4550 discrete graphics with 512MB of VRAM. HP TouchSmart tm2 tablet notebook supports up to 8GB of RAM, a 500GB hard drive, and a DVD writer (optionally Blu-ray drive).The TouchSmart tm2 tablet notebook from HP also comes with an integrated web camera, Altec Lansing speakers, and a 5-in-1 card reader. 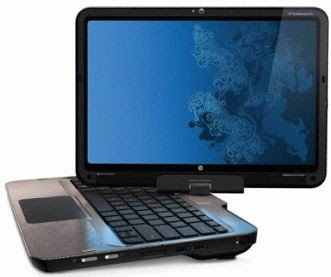 The HP TouchSmart tm2 comes pre-installed with Windows 7 Home Premium or Professional (64bit) Operating System.HP TouchSmart tm2 notebook is provided with a 6-cell battery that capable of providing up to 9 hours of battery life.The new HP TouchSmart tm2 tablet notebook is expected to come up with a price tag of $950. Tags:-HP TouchSmart tm2 tablet notebook features, HP TouchSmart tm2 tablet notebook availability, HP TouchSmart tm2 tablet notebook specs, HP TouchSmart tm2 tablet notebook price details, HP TouchSmart tm2 tablet notebook launch details, HP TouchSmart tm2 tablet notebook price, HP TouchSmart tm2 tablet notebook price details, HP TouchSmart tm2 tablet notebook specifications. Lenovo on its way to introduce its first smartphone, named Lenovo LePhone.Lenovo LePhone is designed for Chinese WCDMA 3G market.The new Smartphone from Lenovo runs on Android 1.6 software and has a QWERTY keyboard.The Lenovo LePhone is powered with a 1GHz Qualcomm SnapDragon processor. The all new Lenovo LePhone Smartphone comes equipped with a 3.7-inch capacitive touchscreen display and is housed with a lot of features that includes a 3MP camera, a front camera for video call, A-GPS support, a 9-pin connector, a 3.5mm audio jack, and Wi-Fi connectivity. 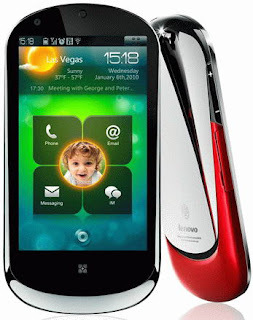 New Lenovo LePhone is expected to come to sales in China by May 2010. Tags:-Lenovo LePhone Smartphone, Lenovo LePhone Smartphone features, Lenovo LePhone Smartphone availability, Lenovo LePhone Smartphone specifications, Lenovo LePhone Smartphone details, Lenovo LePhone Smartphone launch dates, Lenovo LePhone Smartphone launch details, Qualcomm SnapDragon processor, Smartphone from Lenovo, Lenovo new Smartphone . 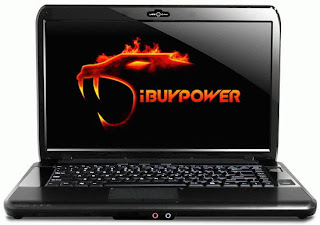 iBuyPower recently started shiping of their iBuyPower Battalion Touch CZ-10 multi-touch gaming laptop.The company claimed that the iBuyPower Battalion Touch CZ-10 laptop is the first ever multi-touch gaming laptop. The all new iBuyPower Battalion Touch CZ-10 notebook comes equipped with a 15.6-inch touchscreen display with 1366×768 resolution and support multitouch.The Battalion Touch CZ-10 gaming notebook is powered with 2.53GHz Intel Core 2 Duo processor and includes a Mobility Radeon HD 4650 with 512MB of VRAM. 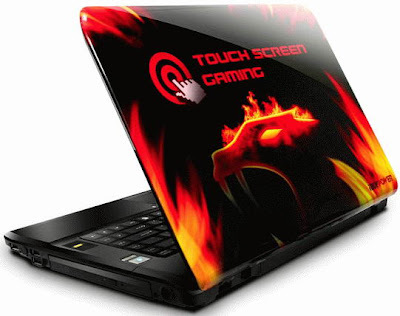 The iBuyPower Battalion Touch CZ-10 gaming notebook supports up to 8GB of RAM memory and comes included with a 500GB HDD or an 160GB SSD.The new gaming notebook also includes a 2.0 megapixel webcam, Gigabit Ethernet, a 3-in-1 card reader, 802.11 a/g/n WiFi, 3D Surround Sound, a DVD writer or Blu-ray combo drive. The new iBuyPower Battalion Touch CZ-10 multi-touch gaming laptop comes with a price tag that starts at $999. Tags:-multi-touch gaming laptop, new multi-touch gaming laptop features, multi-touch gaming laptop price, multi-touch gaming laptop availability, multi-touch gaming laptop from iBuyPower, iBuyPower new multi-touch gaming laptop, iBuyPower Battalion Touch CZ-10 multi-touch gaming laptop price details, iBuyPower Battalion Touch CZ-10 multi-touch gaming laptop availability, iBuyPower Battalion Touch CZ-10 multi-touch gaming laptop features. Alltel Wireless recently announced the availability of BlackBerry Curve 8530 smartphone in their online and retail stores.The new BlackBerry Curve 8530 smartphone provides easy acces to social networking sites including Facebook and MySpace.The new BlackBerry Curve 8530 is also available in Sprint and Verizon. 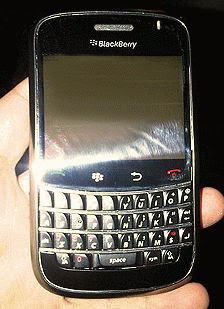 The new BlackBerry Curve 8530 equipped with a 320×240 display and includes a tactile full QWERTY keyboard, a trackpad for easy navigation, stereo Bluetooth, integrated GPS (with BlackBerry Maps and geo-tagging), and Wi-Fi.The BlackBerry Curve 8530 smartphone also comes housed with a 2MP camera with video recording and digital zoom, a 256MB internal memory and expandable microSD/SDHC cards supports up to 32GB of external memory. 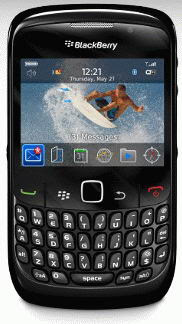 The all new Blackberry Curve 8530 phone has priced at $49.99 with a 1-year contract and after a $100 mail-in rebate. Tags:-BlackBerry Curve 8530 smartphone price, BlackBerry Curve 8530 smartphone availability, BlackBerry Curve 8530 smartphone features, BlackBerry Curve 8530 smartphone price details, BlackBerry Curve 8530 smartphone specifications. Palm on its way to introduced the updated versions of its flagship phone, Palm Pre and Palm Pixi.The main difference between the new Palm Pre and Palm Pre Plus is the amount of internal memory which has been increased from 8GB to 16GB.Both the Palm Pre Plus and Palm Pixi Plus runs on webOS 1.3.5.As an addition to exiting support for EVDO Rev.A standard, the new Palm Pixi Plus comes included with built-in Wi-Fi facility. According to the recent rumors, verizon Wireless has plans to brought the all new Palm Pre Plus and Palm Pixi Plus by January 25.The new Palm Pre Plus is expected to be come to sales with a price tag of $150 and Palm Pixi Plus is priced at $100. Tags:-Palm Pre Plus and Palm Pixi Plus Phone availability, Palm Pre Plus and Palm Pixi Plus Phone features, Palm Pre Plus and Palm Pixi Plus Phone price details, Palm Pre Plus and Palm Pixi Plus Phone launch details, Palm Pre Plus and Palm Pixi Plus Phone specifications, Palm Pre Plus and Palm Pixi Plus Phone price. 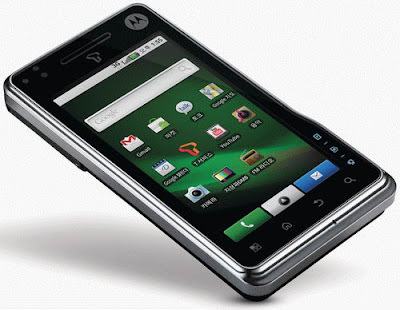 Motorola has recently introduced their latest Android mobile phone in South Korea,named Motorola MOTOROI.The new Motorola MOTOROI which is similar to Motorola XT701 that is introduced last december in Chinese market. 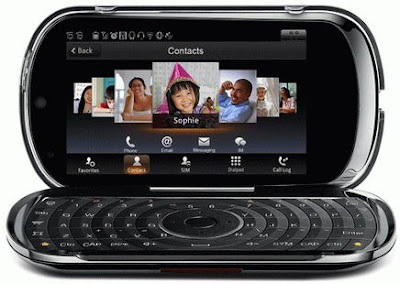 The all new Motorola MOTOROI phone comes equipped with 3.7-inch touchscreen TFT display with a resolution of 480×854 pixel and support multitouch.Other features includes 8MP camera with autofocus and xenon flash which has also used to record HD video with 1280×720 pixels, Wi-Fi, Bluetooth, HDMI port, 3.5mm audio jack, 8GB of integrated memory, a microSD card slot that supports up to 32GB, and T-DMB. 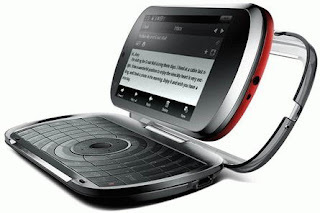 Motorola MOTOROI smartphone is runs on Android version 2.0 and also supports Google Maps, Gmail, YouTube and Google Talk. New Motorola MOTOROI will be available in the South Korean market from next month through SK Telecom operator.Other exciting features is that the handset comes included with a special stand that allows use of Motorola MOTOROI Android phone as a desktop clock or digital photo frames. Tags:- Motorola MOTOROI Android mobile phone, Motorola MOTOROI Android mobile phone price, Motorola MOTOROI Android mobile phone availability,Motorola 8MP mobile phone,Motorola new Android Phone, Motorola MOTOROI Android mobile phone price details, Motorola MOTOROI Android mobile phone features. 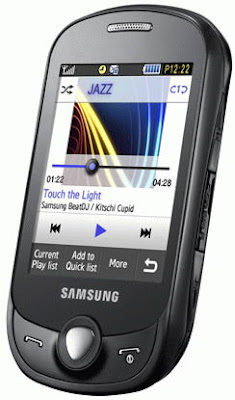 Samsung recently introduced its all new mobile phone in Russia,named Samsung C3510.The new Samsung C3510 aims at those loves music and those with an active life in social networks.The new handset also be called as Samsung C3510 Corby Pop. The all new Samsung C3510 Corby Pop phone comes equipped with a 2.8-inch touchscreen TFT display with a resolution of 320×240 pixels (QVGA) and includes 1.3 megapixel camera with video recording, a 30MB of internal memory, a microSD card slot which supports up to 8 GB, 3.5mm headset jack and also has Bluetooth version 2.1. 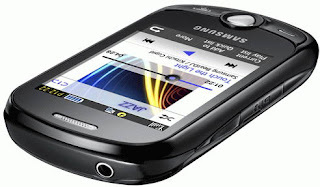 Samsung C3510 phone comes with a lot of features that includes social networking integration, a music player which support music formats including MP3, AMR, AAC, AAC+, e-AAC+ and WMA, an FM radio with RDS, , widgets, web browser, Samsung’s DNSe technology. 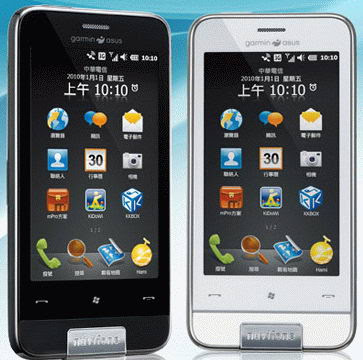 The new Samsung C3510 is housed with a 960 mAh battery which is capable of providing up to 10 hours talk time.Reports reveals that Samsung C3510 Corby Pop will come to sales in Russia market by end of January with a price tag of 5990 Rubles ($200). Tags:-Samsung C3510 Corby Pop availability ,Samsung C3510 Corby Pop launch, Samsung C3510 Corby Pop features, Samsung C3510 Corby Pop specifications, Samsung C3510 Corby Pop price, Samsung C3510 Corby Pop price details, Samsung C3510 Corby Pop price tag, Samsung C3510 Corby Pop specs, Samsung C3510 Corby Pop images. Nokia recently started sailing of their new Nokia 5530 XpressMusic Games Edition smartphone in US market.The new Nokia 5530 XpressMusic Games Edition handset is an updated version of Nokia 5530 XpressMusic.The new Game Edition handset looks exactly similar to the already launched Nokia 5530 XpressMusic.The handset is is classic with full touch form and full touch interface. The all new Nokia 5530 XpressMusic Games Edition comes pre-loaded with twenty games including Gameloft company, Guitar Rock Tour 2, Pro Golf World Tour 2010, Brain Challenge 2, Texas Hold’em Poker, Asphalt 4: Elite Racing, Platinum Solitaire 2, New York Nights 2: Friends for Life, Bubble Bash 2, Abracadaball and Midnight Bowling 2, and the EA Mobile company; American Idol, Monopoly, Monopoly Here & Now, Sims 3, Sims 2 Castaway, Tetris, Bejeweled, Need For Speed: Undercower, Spore Origins and Trivial Pursuit. The new Nokia 5530 XpressMusic Games Edition weighs 3.77 oz and its dimensions are 4.09×1.92×0.51 inches.Nokia 5530 XpressMusic Games Edition is available with a price tag of $299. Tags:- Nokia 5530 XpressMusic Games Edition mobile phone, Nokia 5530 XpressMusic Games Edition mobile phone price, Nokia 5530 XpressMusic Games Edition mobile phone availability, Nokia 5530 XpressMusic Games Edition mobile phone included games, Nokia 5530 XpressMusic Games Edition mobile phone games details, Nokia 5530 XpressMusic Games Edition mobile phone price details, Nokia 5530 XpressMusic Games Edition mobile phone features. Recent news reveals the information that HTC new high-end HTC Bravo phone might come to sales by March this year.Official introduction of the new HTC Bravo phone is expected to be held on next month.It was expected that the new HTC Bravo phone will be availabile in all European markets. The all new HTC Bravo phone comes equipped with with 3.7-inch AMOLED display with a resolution of 480×800 pixels and is built based on of 1GHz Qualcomm Snapdragon CPU.The new HTC Bravo handset also comes included with 5 megapixel camera with autofocus, GPS, HSPA, Wi-Fi, etc. 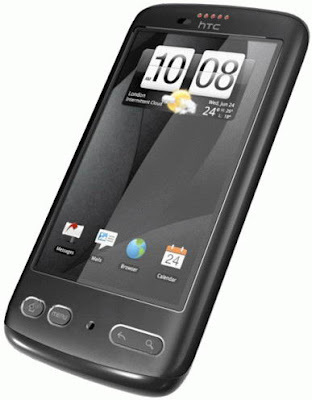 HTC Bravo phone is expected to run on either Android 2.0 or 2.1.Its specification is much similar to that of Google Nexus One.Although Price and detailed specifications are yet to be revealed,it was expected to come up with a price tag of $530. Recent news in Internet reveals that Sony Ericsson is on its way to reveal its all new Sony Ericsson Faith handset soon.The details of the new Sony Ericsson Faith handset is yet to be officially confirmed.Its expected that the official confirmation about the new Sony Ericsson Faith mobile handset will be made in February 2010 at the Mobile World Congress 2010 exhibition (MWC 2010). From the availabile information the new Sony Ericsson Faith runs on Windows Mobile 6.5 Professional.The all new Sony Ericsson Faith comes equipped with horizontally oriented 2.4-inch QVGA touchscreen display with a resolution of 240×320 pixels and is powered with Qualcomm MSM7227 processor.The new handset from Sony Ericsson also includes hardware QWERTY keyboard, Wi-Fi, Bluetooth, A-GPS, a 3.2 megapixel camera, and a microSD card slot. 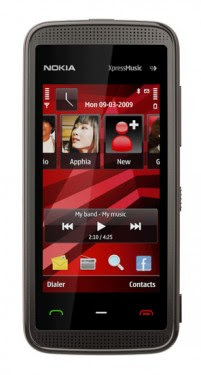 The new Sony Ericsson Faith supports Quadband GSM/GPRS/EDGE 850/900/1800/1900 MHz and Dualband UMTS/HSDPA 900/2100 MHz networks.The unofficial information also suggests that the new Sony Ericsson Faith belongs to GreenHeart series and is available in two colors ie silver or black. Tags: Faith, First, GreenHeart, MWC, MWC 2010, Phone, Picture, Sony Ericsson, Sony Ericsson Faith, Specification, Sony Ericsson Faith color options, Sony Ericsson Faith details, Sony Ericsson Faith features, Sony Ericsson Faith specifications, Sony Ericsson Faith launch details, Sony Ericsson Faith price details, Sony Ericsson Faith price. 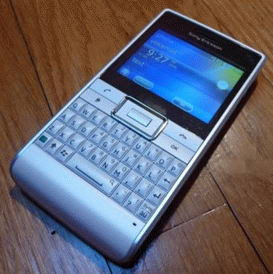 Recent news from the internet reveals that BlackBerry is on its way to launch the all new BlackBerry Curve 8910 handset soon in the market.The all new Curve 8910 is expect to replace the popular model BlackBerry Curve 8900. 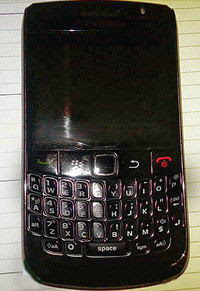 Tags:-BlackBerry Curve 8910, BlackBerry Curve 8910 features, BlackBerry Curve 8910 price, BlackBerry Curve 8910 availability, BlackBerry Curve 8910 specifications, BlackBerry Curve 8910 details. 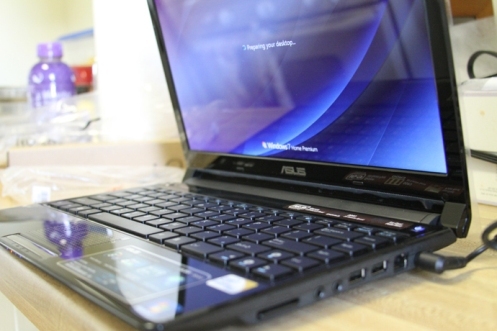 ASUS recently introduced its all new UL series notebook, named Asus UL30JT. The most notable features of the all new Asus UL30JT notebook is its auto-switch capability that helps to switch automatically between the integrated and discrete graphics installed in the notebook.ASUS said that the new feature provides long battery life and powerful performance.Asus also introduced the new auto-switch technology in its new Asus UL80JT with integrated graphics and new Nvidia GeForce 310M dedicated graphics. The all new Asus UL30JT notebook comes equipped with a 13.3-inch 16:9 HD slim-type LCD display with 1366×768 resolution and is powered with either an an Intel Core i7-640UM or i7-620UM processor.The chipset of the laptop is Mobile Intel GS45 chipset.The Graphics card included are a Intel GMA HD integrated graphics and an NVIDIA GeForce 310M graphics card with 1GB of VRAM. New Asus UL30JT notebook also features up to 4GB of DDR3 RAM 1066MHz, supports up to 640GB SATA hard drive with 7200rpm, HDMI, VGA, 3 USB ports, Ethernet, an SD Card slot, Wi-Fi b/g/n, and Bluetooth.The new UL30JT notebook from ASUS is offered with two batteries ie either 4-cell or 8-cell battery and the 5400mAh 8-cell battery provides up to 12 hours of battery life.The all new Asus UL30JT notebook weighs 1.5kg including 4-cell battery and with 8-cell battery the laptop weighs 1.7kg.The notebook has a dimension of 322×232x14.8-24.2mm. 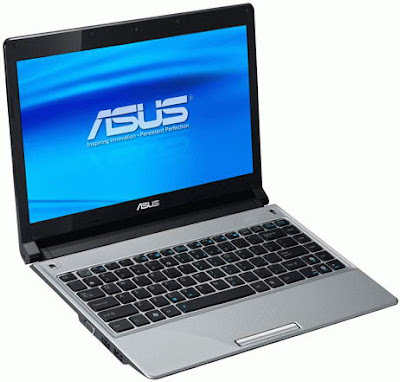 Tags:-Asus UL30JT notebook, Asus UL30JT notebook features, Asus UL30JT notebook details, Asus UL30JT notebook specifications, Asus UL30JT notebook avaialbility, Asus auto-switch Technology laptops, auto-switch Technology laptops from Asus,auto-switch Technology notebook from Asus, Asus new notebooks. 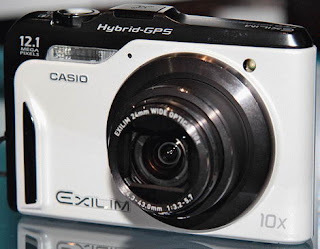 Casio on its way to launch an all new compact camera, named Casio Exilim EX-10HG.The main feature of the new Casio Exilim EX-10HG is the camera comes with built-in hybrid navigation system GPS (Hybrid GPS).The camera also uses three-axis accelerometers in addition to GPS technology. 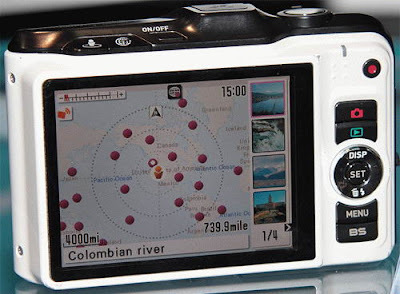 In coverage GPS device to determine its coordinates uses signals from satellites, and the supported geotagging photos. The all new Casio Exilim EX-10HG camera come equipped with a 3-inch display and a 12.1 megapixel CCD sensor.The new Casio Exilim EX-10HG GPS camera also housed with 24mm wide-angle lens with a 10x optical zoom, 35 MB internal memory, a SD/SDHC card slot, 4x digital zoom, as well as the face recognition feature. 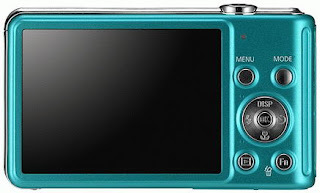 The Casio Exilim EX-10HG camera is also capable of record HD video with resolution up to 1280×720 pixels. The new Casio Exilim EX-10HG GPS camera was made on the basis of Casio Exilim EX-H10.Launch date and price details of the new Casio Exilim EX-10HG GPS camera are yet to be revealed.. Tags:-Camera, Casio, Casio Exilim EX-10HG, compact camera, Exilim EX-10HG, GPS, Hybrid GPS,Casio Exilim EX-10HG GPS camera details, Casio Exilim EX-10HG GPS camera features, Casio Exilim EX-10HG GPS camera specs, Casio Exilim EX-10HG GPS camera availability, Casio Exilim EX-10HG GPS camera launch date, Casio Exilim EX-10HG GPS camera price details.